Amani is a great heroine. She’s not hugely self-aware but goes on a journey of discovery over the course of the novel, finding answers to questions she never even thought to ask in her small town life. Though there’s a good dose of teenage love going on too, friendship is also important which I am always keen on. We go through lots of dramatic and dangerous circumstances which keep you on the edge of your seat, and the dangers faced seem very real. 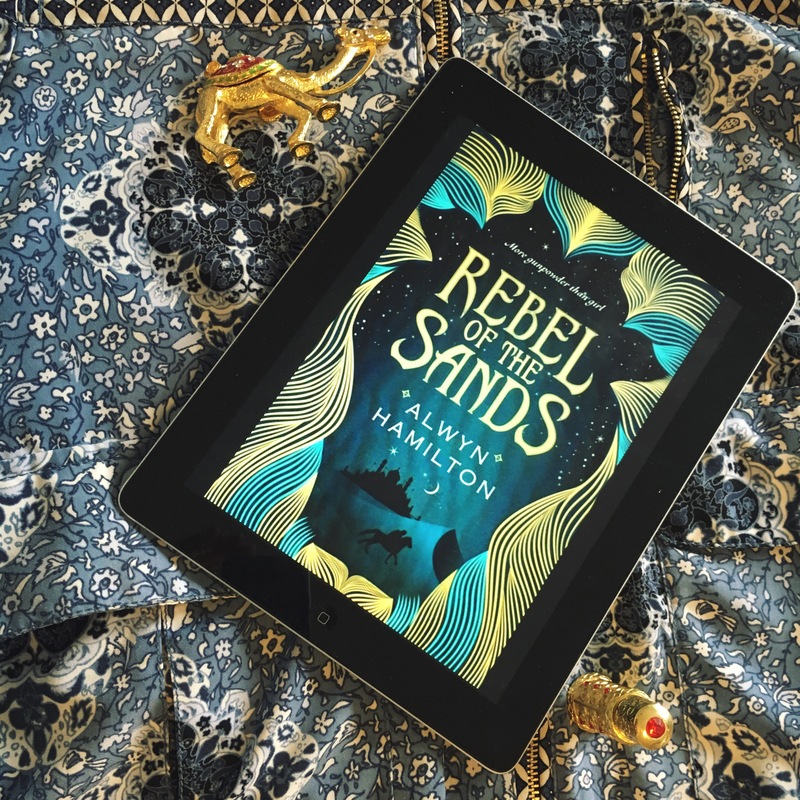 I first heard of this novel as my friend worked in a coffee shop where Alwyn Hamilton goes, and she was apparently trying to work out how to follow this book with another… and I can see why! It was a BIG novel with a lot happening – though still a lot of mystery and suspense left. Safe to say, having now read the second book, she does just fine! I read this a while ago so I can’t remember a huge deal more, but I’m going to stick it on my recommended reading nevertheless. It was great! Profuse thanks to Faber & Faber and to Netgalley for the privilege of reading this book. This has not influenced my review in any way.